The PGA Tour season is coming to a close. The final tournament of the FedEx Cup Playoffs is this weekend in Georgia. I feel, since there are only 30 players in the field, that I need to pick fewer players this week. I can make this happen and I am looking forward to watching the season finale. Jason Day is the easiest selection. He is on fire right now and has won four tournaments in his last six starts. He is blazing a trail to becoming the PGA Tour Player of the Year and is now #1 in OWGR. Day’s unique blend of raw power and killer instinct has resulted in a tremendous run of success. Day changed his equipment last week (against the advice of some analysts) and looked just as dominant. 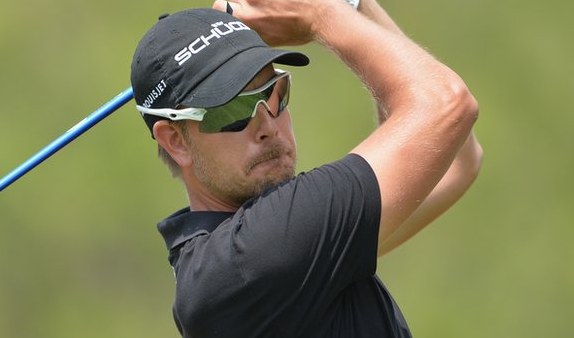 Henrik Stenson is one of the top players in the world and hits his irons quite well. I think his ability to hit greens will be pivotal this week. Bubba Watson finished strong last week and he’s returning back to Georgia (much like Sam, he’s a Dawg) for the final tournament of the year. These are the three players I’m taking. I am shying away from Jordan Spieth due to fatigue. He’s looked tired and despite an ace last week, he couldn’t summon the necessary push to get a win. Rory McIlroy‘s season has been a huge disappointment for him since he missed a lot of time and has never really recovered from that injury. He looks thinner and hasn’t played to his standard this season. I think he’ll have plenty of motivation heading into 2016 after losing his #1 OWGR position. 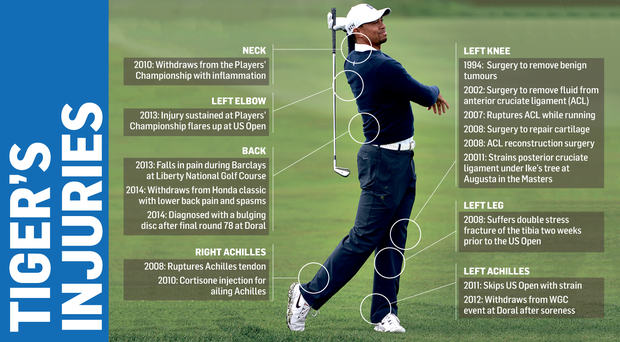 Tiger Woods, the most injured golfer in the history of the sport, had back surgery recently and will likely miss time during the 2016 season. He’s looked pathetic after a brief stint of solid play during 2013. Woods has had knee injuries, back injuries, and an inability to get his “glutes to activate and fire.” I can’t tell you what that means because it’s likely code for I can’t hit the ball well today and I think I’ll just withdraw. Woods is going to go down as one of the best two golfers in the history of the game. I think I might be happier if he decided to do that sooner rather than later. It’s not enjoyable to watching a legend struggle like this. This week (and really the last few weeks) have seen PGA Tour players debut some of the top brands newest equipment. This type of thing is common and tour players often are the first to try the newest clubs. I think it makes it hard to tell if a guy will maintain his level of play in a certain aspect of his game. A new driver with a slightly different look or feel can disrupt a player’s groove. This rule applies to most people and Jason Day is not most people. 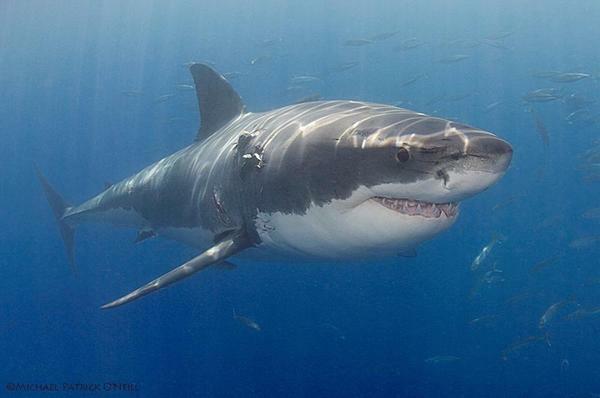 Jason Day and the great white. I can’t even pick a score because Day can shoot as low as he needs to. He’s in the zone and I don’t really know how many people are paying attention. If you turned off golf programming after the U.S. Open, then you are really missing out. Day has taken his game to a tremendous level and has shown no signs of slowing down.